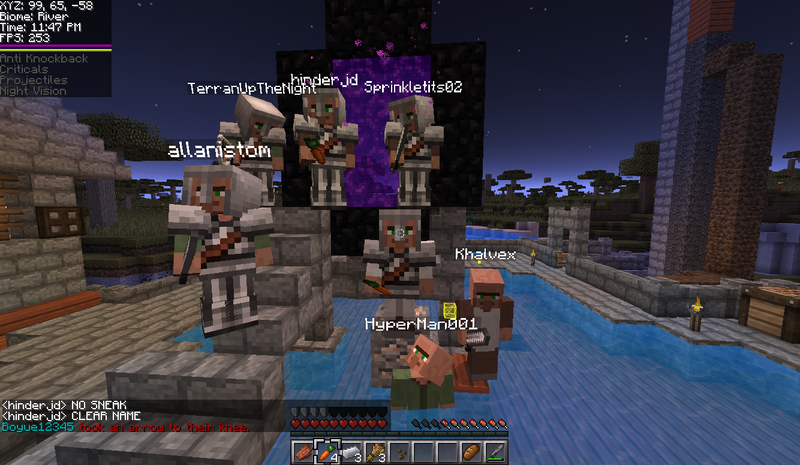 With the fun on the nether roof wearing thin, I returned to 700Base which was now home to at least 3 of us. All of which hadn't actually met each other yet. It was around this time that I used my first (known) 'Alt' account on 2b2t: J_eb. 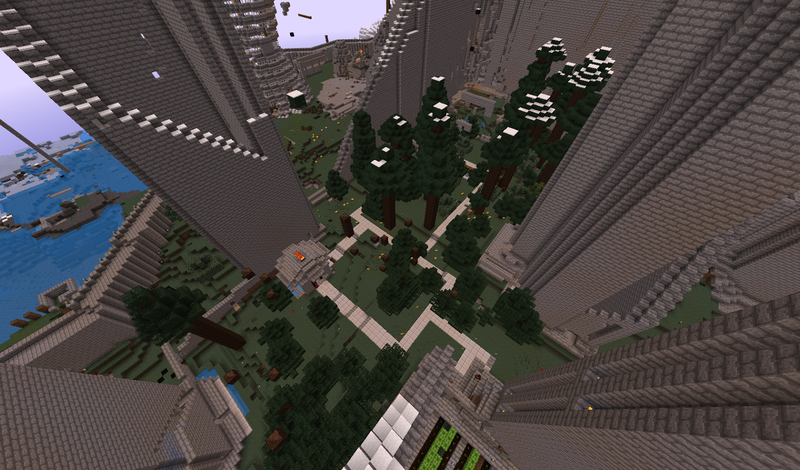 The base had been visited by Pyrobyte on his alt, Cryobyte and he had spammed the base and subsequent area with at least 2,000 giant and regular spruce trees. 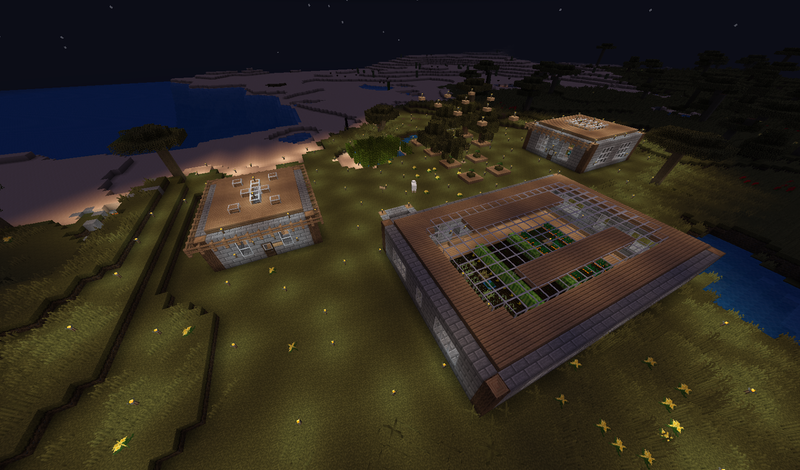 As well as TNT'ing the underground farm... Over on J_eb I had found a nice bit of land and marked out the area for a wonderful base. This base would have all the machines needed to survive without moving. It would have all the mobs and all the mines too. All well and good until I died without sleeping or writing the coords down. Back to spawn J_eb went. I eventually bought J_eb out to around 150k where I built a very small base with a house and farm on top of a Savannah hill. This base was named New Zimbabwe and is still untouched today. Back on James, I had met up with two players, Victor96 and Stotto. 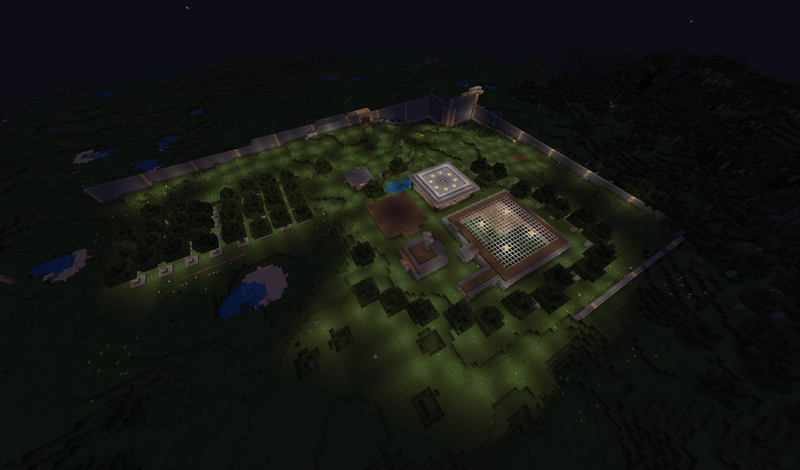 We had decided to turn a small patch of spawn into a nice base of sorts. After finding some half-decent terrain we settled at x:300 z:-300 and named it the 300Base or 300 Tower. This lasted for quite a while considering the location. We made a nice grass patch, built a storage house, erected a tower and made a sweet wheat farm too. You can still see the remains of this base today. The lag was becoming worse and worse. The same rollback lag I spoke of in Part 1 was back with a vengeance. Trying to build anything or mine anything was a massive task. The player count was steadily falling. I decided to go over to 700Base and found that someone had left me the 2b2t calling card on a lavacast. And then, without warning, 2b2t was gone. 2b2t had either crashed again, or was taken down. At this point no one knew what was going on. We then received notice from the 2b2t homepage that the server was being taken down so the admin could work on fixing this lag. 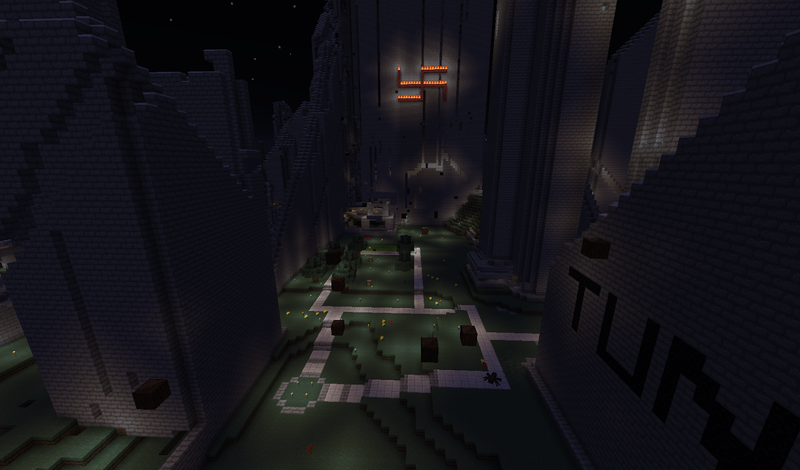 But the admin insisted most of the issue was just down to the way Minecraft servers run and not anything else. With time, a temporary map came online sometime in march. This temp map changed the way 2b2t would be forever. It created new relationships and partnerships between preexisting groups. Then April came and with it the 'April Fools Map'. This is a yearly event (2015 was an ISIS themed one with music and everything) where the 2b2t map is taken away for a few days and a smaller confined map is put in it's place. 2014's was done as a 'hack', where 2b2t.org showed a page saying it had been hacked and the map deleted. 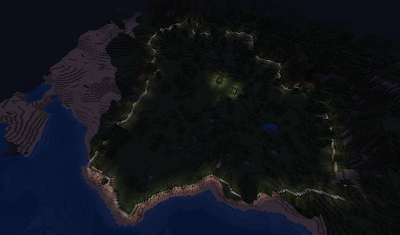 2014's April Fools map turned into a skirmish between two group bases, 'TOPKEK' and 'WOODSTOCK'. 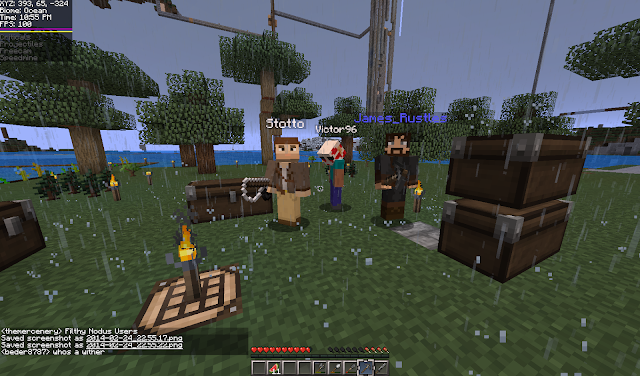 Cobblestone bases were formed on opposite corners of the map and we spent days griefing and raiding each others bases, destroying as much as we could. This was great fun as usual for an April Fools map (apart from the one we all got put in a bedrock pit just like The Pit from the Dark Knight). This was also where I met a player who I still base with right now as I type this. The map then changed to a free-for-all on a larger map when mobs such as Ghasts and Blazes were set upon us. Once the yearly map was over, it switched back to Temp Map. We had by this point become a new group, adding the others we met from April Fools into it. Here we made a base near the spawn and then once it got found, we moved further out and made a more stable base above ground. This lasted for quite a while though, we had various food and animal farms, tree farms and walls were being constructed. The members of this base stayed together once 2b2t came back, which was around the middle of April. We have made and been at many bases together including Gape 1 restoration, Gape 2, Fenrir and Asgard II. 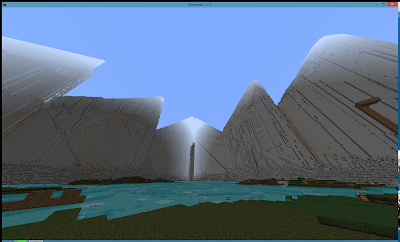 2b2t was now back to the normal map with hardly any lag. This meant that the players started to come back and the average online rose nicely. 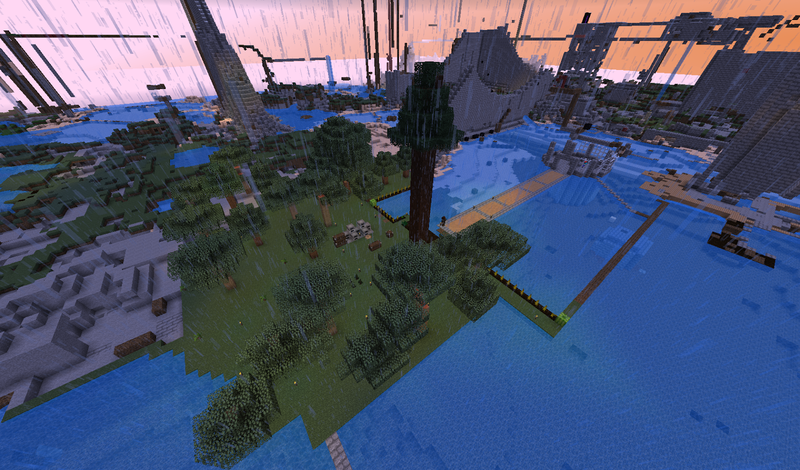 I was then back on J_eb exploring further out near my base I had made, which now had a small base of it's own nearby. That is a brief summary of my time on 2b2t.org during these months! This series will continue right up until present day and then become my live journal. Up next will be May 2014 onward.